By turning your products and marketing message into custom works of art, Irving Signs & Wraps helps increase your business traffic and improve inventory movement. Irving Signs & Wraps’s goal is not just to get people into your store, we also want them to actually buy your products. And after years of experience in the sign-making industry, we know that it takes a great design, a great structure, and a great strategy to make product displays work. Irving Signs & Wraps crafts impactful, attractive displays that put your products in the best possible light. Promotional signs are ideal for drawing immediate attention to what your business offers. They can promote new arrivals, sales, huge discounts, clearance promos, free trials, etc. Irving Signs & Wraps offers you a diverse selection of promotional signs options. From the reliable message signs, window decals, hanging banners, to state-of-the-art LED digital displays, we have a promotional sign that’s perfect for your branding identity and (of course) your budget. With our customizable promotional signs service, you can captivate your customer base and get your message across. We help you draw potential customers in and, at the same time, tell them what your business is all about. 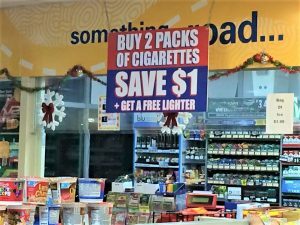 Irving Signs & Wraps helps you give an instant and lasting effect on your market through well designed and strategically installed promotional signs for your products. When you already have your customers inside your facility, the next step is to present your products in the most attractive and inviting manner possible. 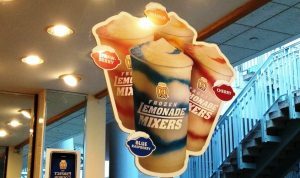 Irving Signs & Wraps offers you point-of-purchase (POP) displays specially designed to cater to your target market. 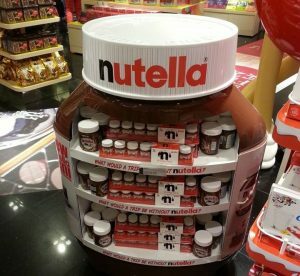 Since POP displays are placed in a location where purchase decisions are normally made, we know how important impactful designs and quality structures are when producing these. Irving Signs & Wraps, with its strong team of designers and signage experts, are fully equipped to provide you with permanent POP displays that draw the most attention to your products, services, or promotion. Our permanent POP displays are also designed to last for years. Irving Signs & Wraps sources highly durable materials such as glass, plastic, metal, and wood; and they use meticulous construction techniques proven and tested over the years. Another option would be banner displays. They are lightweight, easily installed, and quite affordable. Irving Signs & Wraps offers different sorts of banner displays, including portable ones. We have retractable banners that you can bring along with you in outside events that offer opportunities to showcase your products and services. Each banner display system comes with a high-quality banner stand that you can easily adjust to support your roll-up banner. Show your market that you have exactly what they’re looking for. Irving Signs & Wraps can help you by getting them to take a closer look. Curious about how all this is going to pan out? Have a chat with an expert on product displays. Call Irving Signs & Wraps today at (972) 325-0922 for your Free Consultation with a Product Displays Expert!